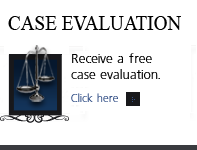 Introduction – Colorado child abuse charges are often brought in the context of DUI investigations. A child is one who is 16 years old or younger. If a child is in the vehicle – even if they are strapped in and otherwise safe – child abuse is charged because of the additional potential dangers posed to the child by an intoxicated driver. This is considered an aggravating factor by the DA and is taken into consideration by the Colorado judge at sentencing. The Colorado Charge of Child Abuse In DUI – DWAI Cases – What Is Negligent Child Abuse? 1. (a) A person commits child abuse if such person causes an injury to a child’s life or health, or permits a child to be unreasonably placed in a situation that poses a threat of injury to the child’s life or health, or engages in a continued pattern of conduct that results in malnourishment, lack of proper medical care, cruel punishment, mistreatment, or an accumulation of injuries that ultimately results in the death of a child or serious bodily injury to a child….. The crime of child abuse in Colorado does not require that the child in your car as a passenger be your child – it is any child and the driver may also be a child – that is under 18 – for the purposes of the charge. The reason some Colorado District Attorneys bring the charge – and they do not ALL add it if it does not appear on the original summons – is to increase the leverage of the prosecutor to achieve a plea bargain. Even the chance of a child abuse conviction to those in certain fields – teaching – nursing – child care etc. is unacceptable to them. According to MADD – 41 states and the District of Columbia have laws enhancing penalties for those who drive drunkwith a child passenger in a vehicle. The laws vary widely in severity and definition of a child passenger. Most states today have some form of child endangerment statute. About half of the states also have DUI Child Endangerment law to punish drunk driving DUI / DWI offenders who transport a minor at the time of the offense. These laws either enhance the existing DUI / DWI penalties or make it a separate offense to transport a minor while driving under the influence. Child Abuse is a serious charge and is considered a separate and distinct count by the state of Colorado in addition to a DUI charge. If you have a child as a passenger in the vehicle, you may face serious consequences. The charge is often used in Colorado family law cases to attempt to seize custody of a person’s child in some cases. If you are convicted of a first DUI charge, normally you do NOT face jail time as a part of your penalty, however a child abuse charge can change that result. 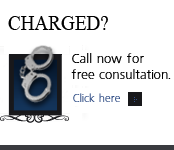 An experienced Colorado DUI attorney that will defend you aggressively in this situation. What is never discussed in this situation is this – even if the charge is plea bargained away to later be dismissed or even immediately dismissed by agreement ..a plea to ANY charge in a traffic matter means that the child abuse charge can NEVER be removed from your criminal history. The reason is that Colorado’s expungement laws require the complete dismissal of a criminal case before the case can be sealed. See my page on this issue CLICK HERE. Child abuse charges must be reported to the Colorado Department of Health and Human Services (DHS) in the county in which they occurred. This is a civil requirement and must take place even if the criminal case is never prosecuted. The Colorado Department of Human Services is mandated to complete a separate investigation and must make a separate finding of whether an incident of child abuse occurred. If the allegation is “founded” the person’s name is slated for inclusion on the Colorado State child abuse registry – the TRAILS system. Certainly the registry is not made completely public, but it is used by many Colorado divisions that have oversight for the welfare of children – this includes – but is not limited to – teachers, day care providers, foster parents, families seeking to adopt, and even parents who want to volunteer with their childrens’ schools, athletic teams, or community organizations. ALL of these giving and loving individuals may be severely impacted by a listing on the Colorado TRAILS child abuse registry. Being accused of child abuse for a parent – grandparent or other care giver is one of the most emotional charges that can be leveled. 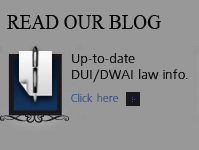 When a child is in the back seat while your are driving under the influence of alcohol or other intoxicant, the charge may be brought against you and it must be aggressively defended as it may have life long impacts well beyond the termination of the DUI – DWAI case. If you have questions about Child Abuse Charges In DUI – DWAI Cases in the Denver metropolitan area and throughout Colorado, attorney H. Michael Steinberg will be pleased to answer those questions and to provides quality legal representation to those charged in Colorado adult and juvenile criminal matters.